During her gap year in 2002, Ruth Waters, from Swanland, worked at the small Riverside Children’s Centre and School opened on a rough piece of land, built out of scrap timber and corrugated iron, on the outskirts of this poverty stricken region. Ruth’s parents, John and Shirley, owners of Swanland Garden Centre, visited their daughter and were incredibly impressed with the work that had been started. Experiencing life in the school, they were challenged by the harsh living conditions faced by the children, and they left the school determined that they would try and make a difference. Taking news back to their home village, John and Shirley gathered support from the UK Swanland community who began to raise money to help support the school. 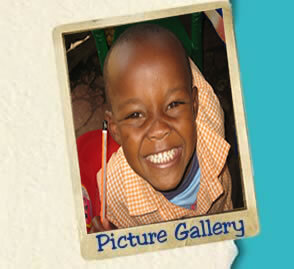 Links were formed with the local Swanland Primary School who began to donate sweatshirts to the Nairobi school. In 2003, in recognition of the support given by the East Yorkshire village, the school was renamed “Swanland School Nairobi” - an honour and privilege to be so recognised - but unintentionally, also a reminder of how much we have in contrast. In the early years, fresh water was brought to the school site and a basic meal provided to the children. Prior to this, children, some as young as 3, had to survive between 9am and 4 pm with no food or water. Once the feeding programme started the numbers at the school grew rapidly. Continued fundraising enabled the school to employ more teachers and provide books and materials. In 2004 Blair Jacobs from the BBC visited the school to make some programmes for Look North and was amazed at what had been achieved in such a short time. Shortly after the 2004 visit, due to growing unrest and local jealousy in Nairobi , a gang of 50 men armed with machetes attacked the school and destroyed the entire site – it was a miracle that no one was injured or killed in the attack. Despite this horrific experience, driven by compassion and determination the school was re-established on some adjacent rented land that has become a little oasis in the surrounding slums. During 2010 we recognised the need to build a sustainable future for this and other such projects. 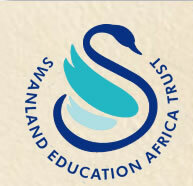 So in February 2011, after many months of thought and planning, we established our charity, the Swanland Education Africa Trust, to oversee fundraising and support for similar projects. Over recent years we have funded the original ‘Swanland School Nairobi’ in the Kawangware slum area of Nairobi – and now a new site has been established at a third location. In has been a privilege to be able to support this school which has given an education and a hope to so many children and young people. Previous successes and history of Swanland School Nairobi . Children came from the surrounding slum areas including about 50 who lived permanently on site as orphans or refugees. The school was registered with the Kenya Education Department and had to pay exam fees in order for the children to ‘graduate’. Through the charity, we were able to provide the money to cover all these exam fees for the children in both Primary and High Schools. The school also supported a football team who participated in local leagues and tournaments. The school was built around a complex adjacent to the Kawangware slums. Access by road was rough – coming by a long uneven track full of potholes and across open sewers. Children walked to school by foot but had to cross a rubbish dump and rickety bridge across a watercourse, which often contained raw sewage. The new site in Ngando village (about 1 mile away) has much improved access and is a level site improving the issues drainage and site run off that beset the old site during rainy seasons. The charity refurbished one of the buildings on the site as a makeshift laboratory, equipping it for use by the school and pupils from neighbouring schools to meet the Kenyan exam requirements. Despite the obvious hardships and limited resources it was hugely satisfying to see many of the children succeed at the national exams and go on to higher education or jobs of work.